Back in the twenty-first century, trouble strikes the S.G.C. With one of their own people snatched by renegade Tok’ra, Colonel Cameron Mitchell leads the new SG-1 on a chase through time to rescue their friend — and to protect their future. 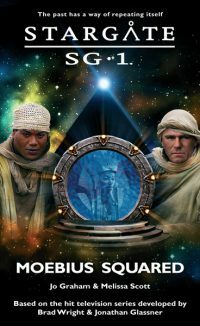 But for Carter, Daniel and Teal’c, the greatest challenge is encountering themselves — and coming to terms with the consequences of their own choices.